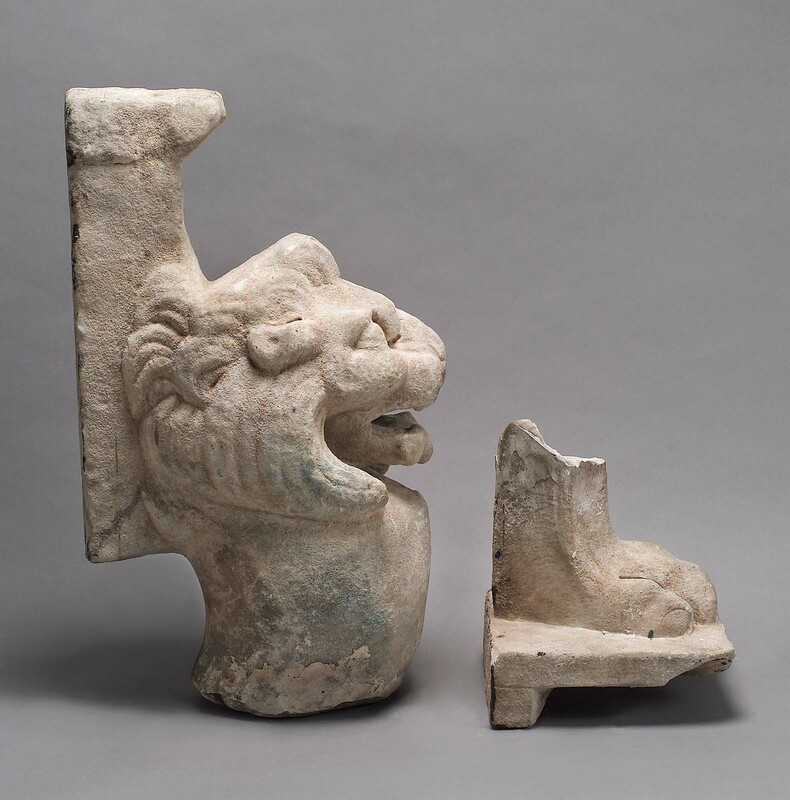 This large support, part perhaps of a monument in a temple or other public building, is of the conventional type, lion’s head above and paw below. The central section of the leg is now missing. 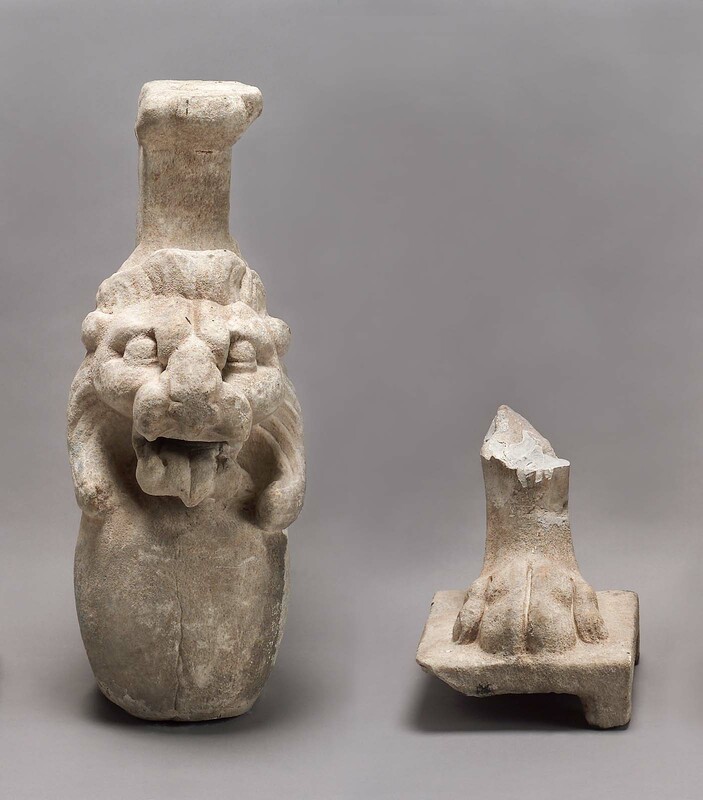 The ensemble was probably carved in the early Roman imperial period and has numerous parallels, usually on a smaller scale, from all over the Latin and, to a lesser extent, the Greek sections of the Roman Empire. The surfaces are heavily incrusted and now have a grayish brown color. Harvard Lab No. HI248: Isotope ratios - delta13C +2.45 / delta18O -1.38, Attribution - Paros 2, Prokonnesos, Thasos-Cape Phaneri and Thasos-Aliki, Usak, Denizli 1, Iasos, Justification - Coarse grained marble. From Assos (Behramkale, Turkey); from the lower town, above the theater. 188? : excavated by the Archaeological Institute of America; gift of the Archaeological Institute of America to MFA, January 1884.